The NOISEROOM is an autonomous surround sound installation built for pre-recorded musical works and sonic experiments. 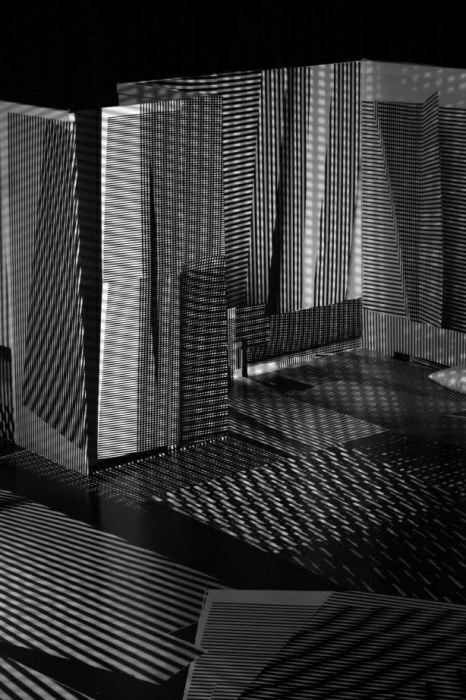 It is a musical deconstruction of a room-within-a-room as much as it is a sound studio sculpture. Each musical work which is performed in the NOISEROOM has been selected, edited and arranged for a listening situation in which the listeners can dedicate themselves to a maximum listening experience. 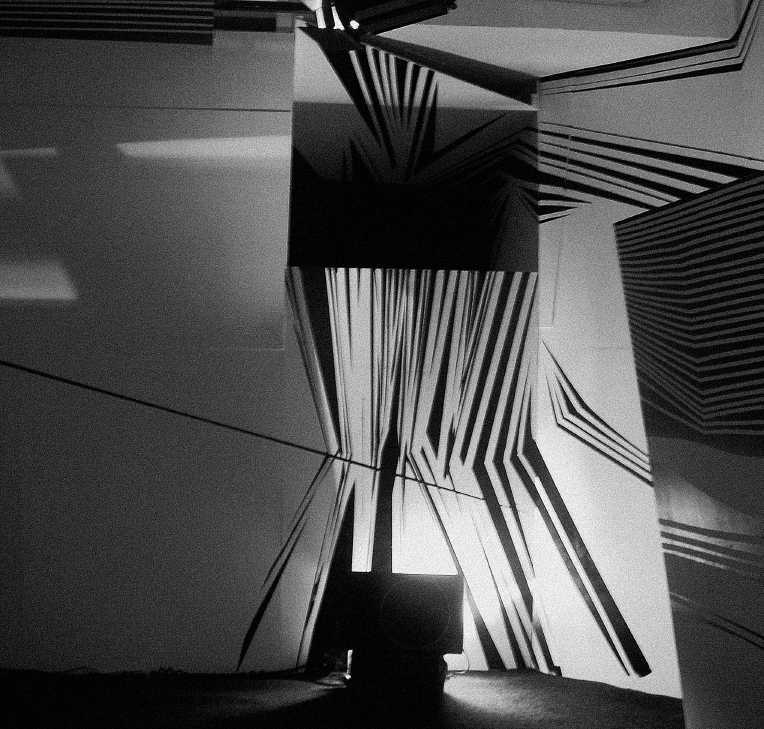 The pieces presented in the NOISEROOM refer specifically to the concept of a so-called ‘speaker’ concert in contrast to a so-called ‘live’ concert. 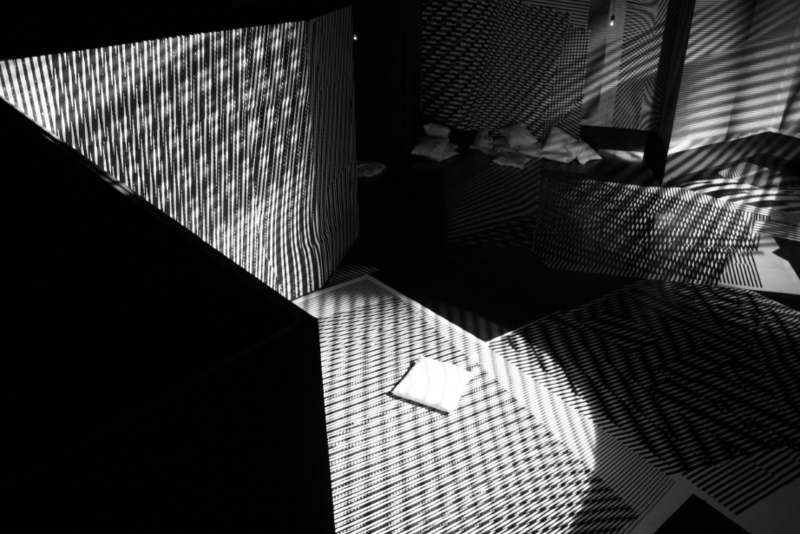 Each composition will be played back through a multi-channel 5.1 speaker setup that is configured according to the spatial acoustics of the NOISEROOM. 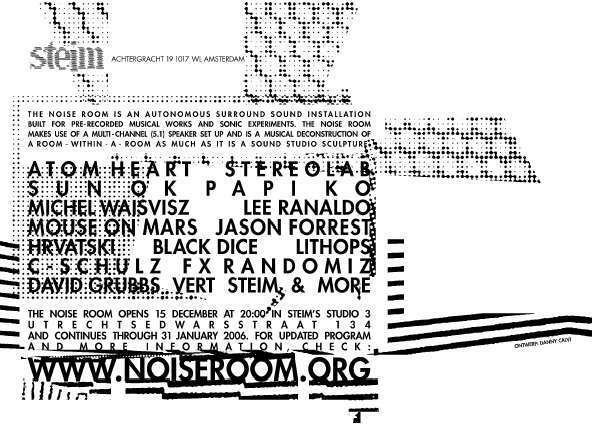 The NOISEROOM is a project of Jan St. Werner, artistic director of STEIM and member of Mouse on Mars.